Car. I was able to meet with the painter and choose my color. They run the length of the car. They are also a match to the subtle reddish stitching in the interior. To me they are "jewelry" for my auto! Kip, are the Interior Ambient Lights actually yellow? Or is that just a camera trick and it is LED white to the eye? 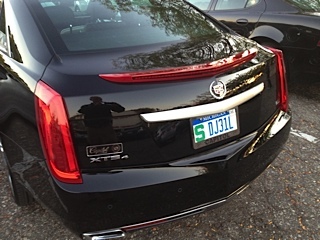 Is it changeable in the XTS? 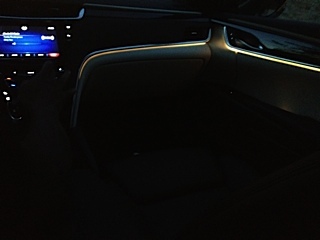 @TheCaptain: There is a mix of the colors in the interior lighting pretty much as you see in my pictures. The LEDs that light up the interior when you open a door are very white (as they should be to clearly show where you are going). I am not sure what you mean as 'changeable'- you can vary the intensity from virtually non-existent to very noticeable for the interior highlights, but you can not change the color temperature or hue is that is what you meant. Yea, the Interior Ambient Lights being the lighting in the doors and dash that appears yellow in your photos. In my opinion, yellow isn't a 'cool' colour. It will be sweet once Cadillac gives us the option to change the colour. 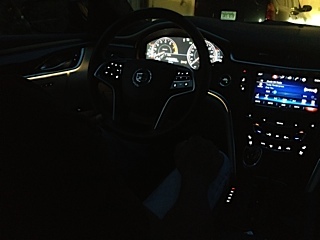 I love the LED white ABL (Ambient Lighting) in my SRX! 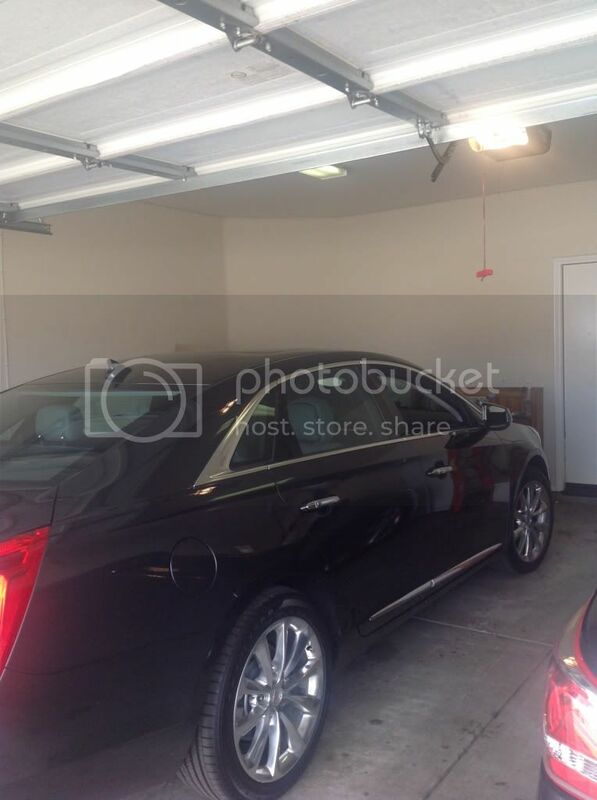 Purchase my XTS this Friday, my wife got her 2013 Altima last Friday. I love the way it drives compared to my 2011 Avalon. There is more control and less rolling in turns. And it sure does turn heads a lot lol. The one thing I've notice is when you do a heavy acceleration there is a lag before it responds. 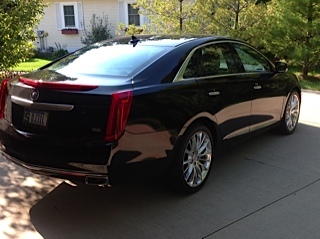 All in all it's a nice car and I think my wife will be driving the XTS more than hers. Once I get it tinted and new grill I will post more shots. It's the Metallic with Nav, Awareness and Ultra-view roof. And I got a great deal with a shout out to my salesman Chris and his dealership honor my supplier discount not all of them will. Creative Director, Creative Director, Creative Director and 1 others like this. Congrats and enjoy your car! Congrats! Did you get it from the West Covina Crestview? If so, should I give Chris? My salesman at a different dealership close to LA was off this weekend and I'm likely going to make a deal tomorrow with her - given she can locate and dealer trader. She did give a killer deal compared to four other dealers in the relatively nearby vicinity. Did you lease or buy? Looking forward to more pics! Enjoy in good health. 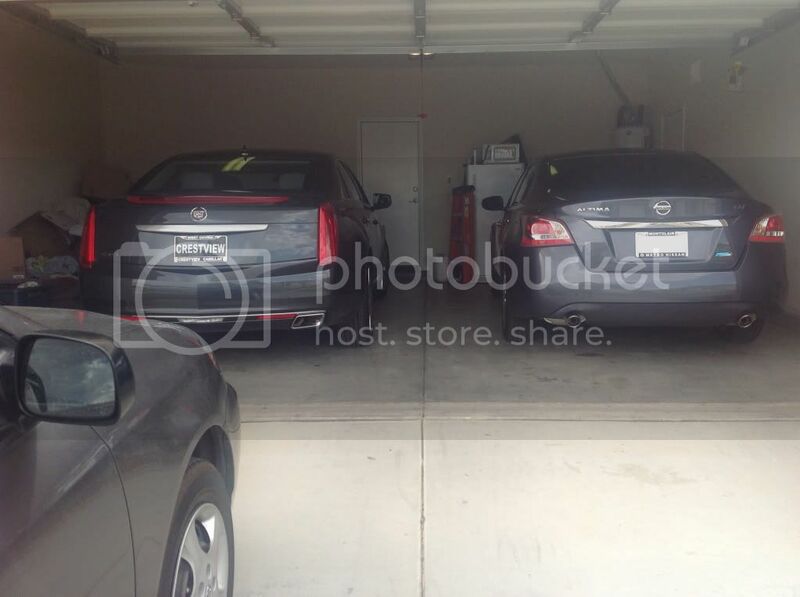 Yes it was West Covina Crestview where I purchase the car. We did discuss the lease rate through Allay but I plan on keeping the car. Just ask for Chris in Internet sales there are two guys there with the same first name there. 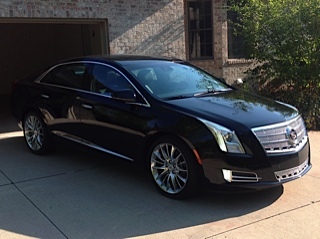 Thank you and look forward to picture of your new XTS. Thanks but I went ahead with my dealer in Fullerton because she provided the lowest possible lease ... just filled out my application through Ally and if all goes well, the car will be delivered to my home tomorrow or Wednesday. Here are a few pics of my Platinum. Absolutely LOVE IT! !